I am an Associate Professor at Oklahoma State University where I teach all levels of Spanish language and literature, and conduct research on medieval Iberian Literature. I joined the faculty in 2009. 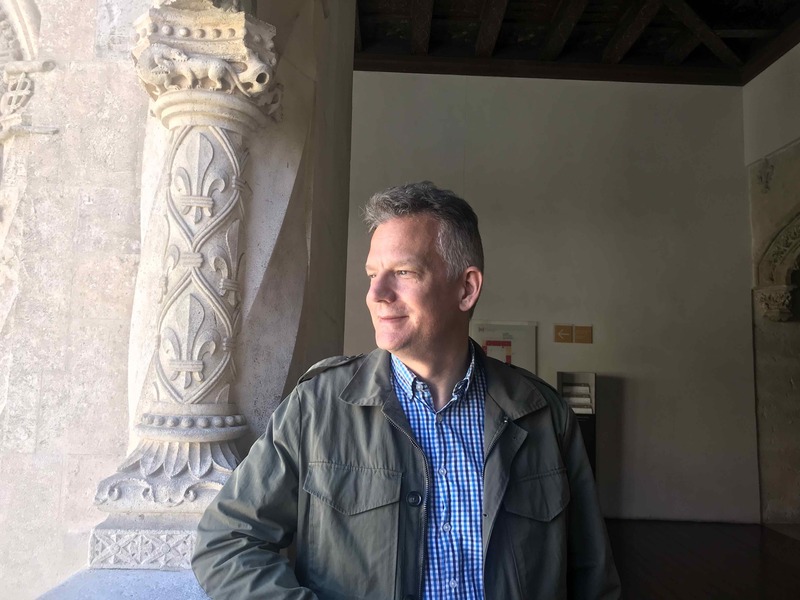 My research engages theories of historical narrative and textual commentary to study the role of language and textual interpretation in the development of a hegemonic Castilian identity from the 13th to 15th centuries. I work primarily on Alfonso X’s General estoria, a history of the world compiled in the 1270s. I am currently writing a monograph tentatively entitled Writing Imperium: Narrative and Exegesis in the General estoria in which I explore the creation of a Latin, Christian, Vernacular identity for Castile and its newly conquered territories through the adaptation of Biblical and Ovidian material and their glosses and commentaries. I have also written on the relationship between geography and language in the works of Antonio de Nebrija and Alonso de Palencia, as well as the Libro de buen amor, a work I became interested in graduate school in a seminar on it taught by Catherine Brown, and later in an NEH Summer Seminar led by Michael Gerli. My teaching at OSU encompasses a full range of undergraduate classes in the Spanish program from first-semester Spanish to fourth-year seminars. I did a Ph. D. in Spanish Literature at University of Michigan. I have taught at Drew University, SUNY New Paltz and at Michigan State University. I grew up in Chico, California and graduated from Chico High School. I majored in Spanish at the University of California Santa Cruz. I did a junior year abroad with the University of California and University of Illinois program in Barcelona. Lately, I spend my time in Spain in Madrid and Gijón.